Are you looking to take your 2019 to the next level? Join two of Dallas’ most sought after instructors for an inspiring Fitness + Yoga Retreat complete with challenging workouts, relaxing yoga classes, empowerment seminars, and healthy meals. Elevate your summer 2019! Join Brit & Kaleigh for 6 days & 5 nights of inspirational workouts, empowerment seminars, healthy meals, new friendships, and plenty of time to unwind & recharge at the stunning Bodhi Tree Yoga Resort in the Nicoya Peninsula of Costa Rica. Each day will include 1 yoga class and 1-2 fitness classes, as well as enriching seminars to ignite your best self! Fresh & healthy, chef-prepared meals will be served daily to help restore your bodies after our workouts. But don’t worry, there will be plenty of down time for you to enjoy a spa service, relax by the pool with a glass of wine, take a beach walk, or enjoy an excursion! If you’re looking to connect with like-minded individuals, have fun, and spark something more in your life, this retreat is calling your name! New Year Best You Recap from Heacox Creative Co. on Vimeo. $100 off when you book with a friend! Kaleigh grew up in a family full of avid athletes, fitness enthusiasts and dancers’, so being active has always been a huge part of her life. She began teaching dance and junior golf in her teens and continued throughout college at the University of Kansas, where she earned her degree in Strategic Communications. When Kaleigh moved to Los Angeles in 2005, she was introduced to yoga. She quickly realized the profound physical and mental benefits that could be achieved with a regular practice and became hooked! As she continued deepening her yoga practice, she became more confident of her true calling in life – to leave the corporate world and get back to teaching. In 2008, Kaleigh completed her 200-hour yoga alliance certification through YogaHop in Santa Monica and soon after, her Certified Personal Trainer certification through the National Strength & Conditioning Association, and her Nutritional Coaching certification through the Institute of Integrative Nutrition. Since then, she’s continued to immerse herself in studying the fundamentals of fitness, nutrition, and yogic philosophy with some of today’s most knowledgeable individuals. 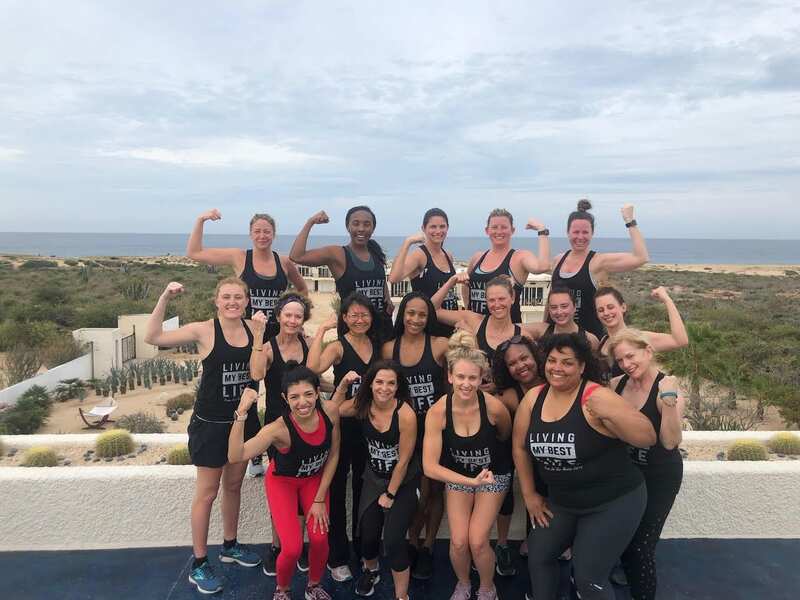 Kaleigh’s clients and students range from celebrities and professional athletes to those individuals battling ailments or just trying to stay healthy. After nearly 10 years in Los Angeles, Kaleigh relocated to Dallas, TX in March of 2015. In addition to her extensive private clientele, you can find Kaleigh teaching regular yoga and fitness classes at several studios in Dallas, as well as Retreats across the globe. She recently added residential Real Estate agent to her resume as well. Kaleigh is an ambassador for Lululemon, Tory Sport, Manduka, and Carbon 38.